PhD, 1991, electrical engineering, Stanford University, U.S.
application of these tools to assessment, treatment planning, and therapy guidance in ischemic and congenital heart diseases and neurovascular and peripheral vascular diseases. Contributions from Dr. Wright's group have included methods to characterize effects of oxygen in blood and tissue on MRI signal behaviour in vivo, a tool to automatically detect contrast agent arrival in a vessel facilitating a rapid MR acquisition of 3-D vascular maps, and real-time adaptive tools in MRI for improving the quality of coronary artery images. Through work with many clinical collaborators, these tools are being used in a wide range of patient studies. 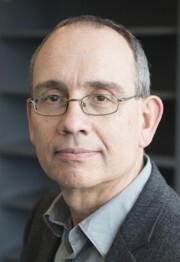 Current work builds on the group's central role in the Ontario Consortium for Cardiac Imaging where the focus is to develop and evaluate the role of multiple imaging modalities applied to cardiac diseases and in the Imaging Research Centre for Cardiac Intervention to design and test new imaging approaches to guide innovative minimally invasive cardiovascular therapies.